What is the Difference Between Zyban and Champix? What is the Difference Between Zyban and Champix? Which is the most effective? There are at present two prescription tablet treatments available to help smokers quit. These are Zyban and Champix. Both are taken as part of a wider cessation programme including motivational support. The two medicines have the same desired end-result in common, however they aren’t the same. They function in different ways, are manufactured by different companies and vary slightly in the way they are taken. A tablet. The active ingredient in Zyban is a drug called bupropion hydrochloride. Bupropion has antidepressant qualities, and the drug was originally developed for this purpose, being released in the 1980s. However it was later removed from the market when high doses were found to pose a significant risk of side effects. When the drug reappeared a few years later, it was only made available at a reduced dose. It was approved for release as a stop smoking medicine and was given the name Zyban by manufacturers GSK in 1997. Despite its antidepressant traits, bupropion does not work in quite the same way as selective serotonin reuptake inhibitors (SSRIs). Before explaining how the drug works, it is useful first to understand some of the chemical reactions which take place in the nervous system when someone smokes. In the brain, chemical neurotransmitters help to regulate mood. Dopamine and noradrenaline are examples of chemicals which perform this function. Dopamine is closely connected to the reward centres in the brain. Some addictive substances (including recreational drugs) will cause a surge in its activity, creating feelings of pleasure. The inhalation of nicotine has an effect on the activity of these neurotransmitters, amongst several others, including serotonin, acetylcholine and beta-endorphin. However using dopamine and noradrenaline as examples serves as a useful way to demonstrate the effect of smoking on the brain; it simultaneously acts as a pleasure enhancer and as a stimulant. How Zyban works isn’t fully understood, but bupropion is thought to function by limiting the absorption in nerve cells of dopamine and noradrenaline. By preventing their assimilation, this enables these neurotransmitters to remain active in the brain, thereby helping to sustain the sensations described above and, in turn, reducing the need to smoke. Although it is not technically a nicotine replacement therapy (NRT), bupropion could be said to work in a very similar way; by helping to stimulate neurotransmitters and preventing withdrawal from the cessation of smoking. Those embarking on a course of Zyban will commence treatment on a low dose of one pill per day for six days. On day seven, the user will increase their dose to two tablets per day. The user will also arrange a stop smoking date to take place during the second week of the course. Treatment then continues at this dose for a period of up to nine weeks. If successful, a prescriber may then choose to stop treatment or gradually reduce the dose after seven to nine weeks. Yes. Zyban is only available to buy in the UK after consultation with and approval from a doctor. You cannot buy this product from our online pharmacy service. Champix is also a tablet used in smoking cessation. It contains varenicline tartrate. Pfizer. The drug was approved and released for use as a smoking cessation medication in 2006. The functioning agent in Champix is a nicotinic receptor partial agonist. This means that it stimulates some of the receptors in the brain which are susceptible to nicotine; namely, the acetylcholine receptors. As described above, acetylcholine is a chemical neurotransmitter. Some of the cholinergic regions of the brain are closely linked to heightened feelings of perception and reward. Once again, inhaled nicotine stimulates these zones and over time, this repeated stimulation can cause feelings of addiction. Varenicline actually serves two purposes in its function. Firstly, it reduces tobacco and nicotine withdrawal by providing stimulation to nicotine receptors. This has the effect of reducing cravings for inhaled nicotine in the user. But varenicline also limits the effect of inhaled nicotine on these receptors too. So if someone taking the medicine does smoke, the nicotine inhaled will have little to no effect on receptors in the brain, rendering the act of smoking chemically impotent. This consequently makes the act of smoking less desirable. As with bupropion, varenicline is not defined in medical terms as a nicotine replacement therapy. However, it does function in a similar way. When beginning the medication, users will first take the Champix Starter Pack. This contains two different strengths of tablet and covers the first two weeks of the course. For the first three days, users will take one 0.5mg pill per day. On day four, this may be upped to one 0.5mg pill taken twice per day. From day eight, users may be advised to move on to the 1mg tablets, taking one twice a day. A stop smoking date should be set to take place on this second week of the course. After two weeks, users will then move on to their Champix maintenance pack. Lower doses of Champix are available and for those sensitive to higher doses, a reduced maintenance dose may be recommended. The treatment is continued for up to 12 weeks, before being reviewed by a doctor. They may wish at this time to begin reducing the dose. 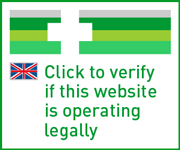 Yes, you can only buy Champix online or in person in the UK with a prescription from a doctor. Which medicine the most effective? Several clinical trials have taken place comparing the efficacy of NRT, bupropion and varenicline since the latter was released. A review of clinical trials undertaken by Canadian researchers in 2006 found both bupropion and NRT to be more effective than placebo, but also found that varenicline was more effective than both. By the paper’s own admission, however, studies into the efficacy of varenicline were limited in number, as it was a relatively new drug at the time. This particular review also declared that it was partly funded by Pfizer (who make Champix), but maintains that the researchers were given freedom to publish their results whatever the conclusions reached. A study published in the American Journal of Health Behaviour in 2008 compared abstinence rates for those taking varenicline, bupropion and placebo. It found that the abstinence rate at 9-12 weeks for those taking varenicline was 44%; compared to 29.7% for bupropion; and 17.7% for placebo. A Cochrane review of studies in 2013 came to the conclusion that varenicline, bupropion and NRT were all significantly more effective than placebo, but found that varenicline was ‘superior’ to bupropion and single forms of NRT. It noted that for every 10 people who quit through using a placebo, around 18 could be expected to give up using bupropion, and around 28 through using varenicline. Which medication should I use? It really depends on which medicine, if any, you’re most suited to. Zyban may be suitable for use in some cases where Champix is not, and vice versa. If you’re looking to quit smoking, you can find out more about the different cessation methods available by speaking to your doctor. ^Ping, W. et al. ‘Effectiveness of smoking cessation therapies: a systematic review and meta-analysis.’ BMC Public Health. 2006. ^Nides, M. et al. ‘Varenicline versus bupropion SR or placebo for smoking cessation: a pooled analysis.’ American Journal of Health and Behaviour. 2008. ^Cahill, K. Pharmacological interventions for smoking cessation: an overview and network meta-analysis. Cochrane Library. 2013. Is there a generic version of Champix? Can Champix cause side effects? Do I need a prescription for Champix? GDA and RI: What's the difference?